Around 99 percent of pipes of the Trans Adriatic Pipeline (TAP) have been welded in Greece and Albania, Trend reports with reference to TAP AG consortium. 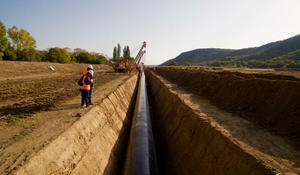 Around 98 percent of pipes of the Trans Adriatic Pipeline (TAP) are back-filled in Albania, Trend reports citing TAP AG consortium. President of the Republic of Azerbaijan Ilham Aliyev has met with President of Albania Ilir Meta, who is attending the 7th Global Baku Forum. 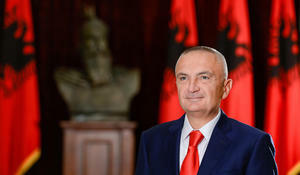 The Trans Adriatic Pipeline (TAP) has considerably impacted Albania’s role in region and beyond, Trend reports citing Albanian President Ilir Meta. 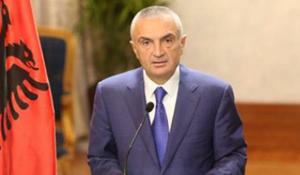 Albanian President Ilir Meta will visit Baku in March to attend the 7th Global Baku Forum, Trend reports referring to the Nizami Ganjavi International Center on Feb. 1. 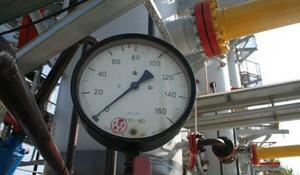 TAP AG, the consortium engaged in construction of the Trans Adriatic Pipeline (TAP), which envisages transportation of Azerbaijani gas to Europe, has requested Albania’s Energy Regulatory Entity (ERE) to issue a license for natural gas transmission, monitor.al reports. 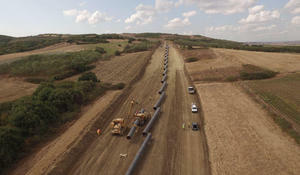 Land reinstatement has been completed by more than 85 percent along the route of the Trans Adriatic Pipeline (TAP) in Greece and Albania, said a message from TAP AG consortium, which is engaged in building the pipeline for supplying Azerbaijani gas to Europe. At the end of July 2018, the Trans Adriatic Pipeline (TAP) completed the construction of the 1.5km micro-tunnel in Skrapar, Albania, said a message from TAP AG consortium. 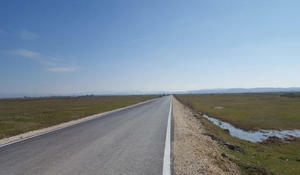 TAP AG, the consortium for construction of the Trans Adriatic Pipeline (TAP) and its contractors will soon complete the rehabilitation of the 12.5-kilometer road connecting the Vithkuq village with the national road Korca – Erseka in Albania, said a message from the consortium.